When we think of auto accidents, we generally think of collisions on city streets and highways. Yet car accidents can take many forms, sometimes involving commercial vehicles such as large trucks. In the case of garbage trucks, there are serious injuries and major vehicle damage to keep in mind. The Scranton, PA auto accident lawyers of Foley Law Firm would like to consider some common issues regarding car accidents and garbage trucks. We’ll help you understand your legal rights and options during an in-person discussion at with our attorneys. Force of Impact - Garbage trucks are massive vehicles, meaning that they generate a great deal of force upon impact. Even at low speeds, a collision with a garbage truck can do severe damage to a passenger vehicle, and cause catastrophic injuries in the process. Major Blindspots - Given the size of garbage trucks, it should come as no surprise that it’s sometimes difficult for garbage truck drivers to see vehicles in the vicinity, especially to the sides and directly behind. The risk of collisions is much higher given the prevalence of blind spots. Narrow Roads - The size of garbage trucks poses another danger worth considering. On narrow roads, the chance of avoiding a collision may be quite low. Given these realities, motorists must be careful while driving down narrow streets or alleys when a garbage truck is present. Vehicles in motion aren’t the only vehicles at risk in a garbage tuck collision. There are many instances of garbage trucks striking commuter vehicles that are legally parked. Given the size of garbage trucks and issues with maneuverability, your car could be dented, scratched, and worse on garbage day. Negligent sanitation workers should be held accountable for this property damage. The garbage trucks themselves aren’t the only source of danger. When trash falls from the back of these vehicles and remains on the road, it creates a hazard for other motorists to deal with. In these cases, the garbage truck causes an accident because of negligence by sanitation workers who will not ensure that the trash they collected is not properly retained en route to a dump site, landfill, or waste management facility. Who Is Legally Liable for Garbage Truck Crashes? 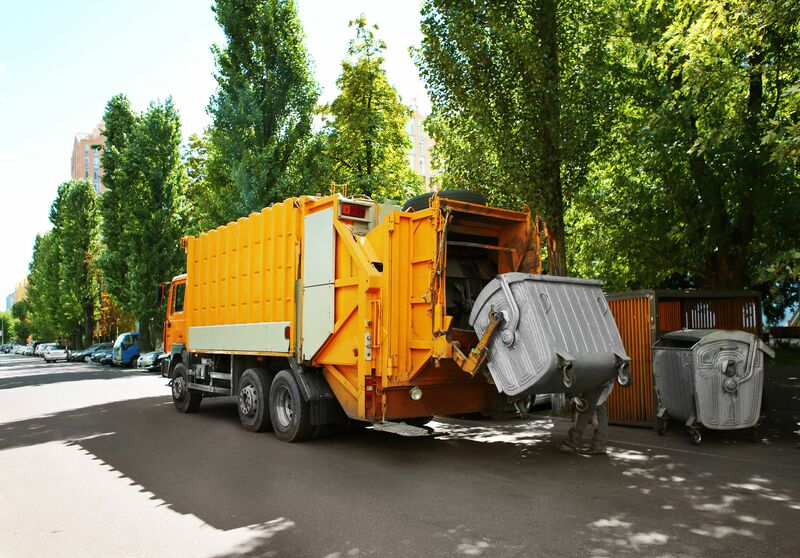 Generally speaking, the driver, sanitation workers, or waste disposal company can be held liable in garbage truck accidents. If a driver is negligent and collides with another vehicle, they should be held responsible for their actions. Similarly, negligence by sanitation workers that contributes to a crash or road hazards should be punished. Regarding trash disposal companies, these businesses can be held accountable if they are negligent in their hiring and disciplinary practices, have a poorly maintenance fleet of garbage trucks, or otherwise create dangers conditions for workers and motorists. To learn more about your legal rights and options following an auto accident, be sure to contact our team of injury crash attorneys. The team at Foley Law Firm is here to help you. You can reach our Scranton law office at (570) 342-8194 and our Stroudsburg law office at (570) 424-1757.